Perfume the garden with our collection of 3 exquisite Sweet Pea varieties. 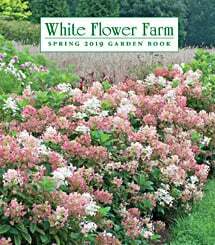 The fluted and delicately ruffled blossoms of these scented beauties decorate graceful vines, their vivid and soft hues creating a classic garden display. Keep plants blooming for weeks by picking the flowers for bouquets and enjoy their intoxicating scent indoors. We offer 1 of each variety listed below, 3 plants total. Please note: Sweet Pea Jewels of Albion Mix has been replaced with Sweet Pea 'Zinfandel'​ at this time.